The third release in Campari's Whiskey Barons Collection, W.B. Saffell. Photo Courtesy Justin's House of Bourbon. Campari has announced the third release in The Whiskey Barons Collection, W.B. Saffell Kentucky Straight Bourbon Whiskey. The release is preceded in the collection by Old Ripy and Bond & Lillard, all named for prosperous gentlemen who built their fortunes on bourbon. W.B. Saffell Bourbon celebrates the distilling history of Lawrenceburg, Kentucky. Saffell was born in 1843, and began distilling as a teenager. He quickly built a reputation for sour mash whiskey, and led operations at McBrayer Distillery for over 20 years. In 1889, he started his own 350-barrel distillery, not far from where the Wild Turkey Distillery stands today. The artwork on the modern bottle features the home he built for himself, his wife Frankie Bond, and their six children. Saffell House, a Romanesque red brick mansion built c. 1890, is still standing in Lawrenceburg today. 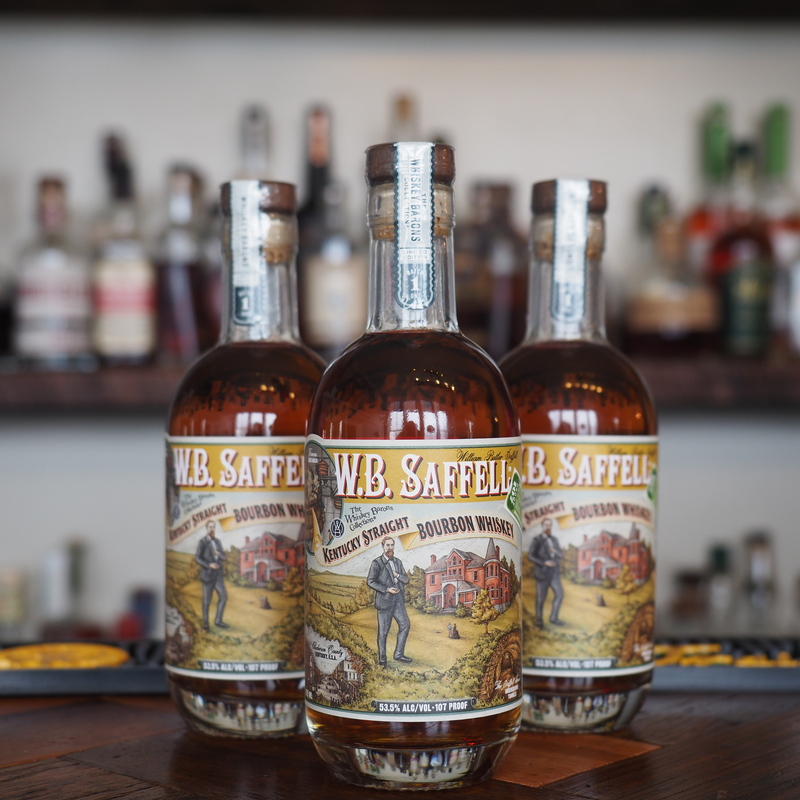 Although Mr. Saffell passed away in 1910, his distillery remained operational until Prohibition, after which his self-titled W.B. Saffell Bourbon was never produced again – that is, until now. Campari uses Wild Turkey’s bourbon mashbill (75 percent corn, 13 percent rye, 12 percent malted barley) as well as their stills to craft W.B. Saffell. As with the last two releases in the series, W.B. Saffell will come packaged in a small round 375ml bottle with an MSRP of $49.99. It’s on shelves now for a very limited run, but worth picking up in our books.